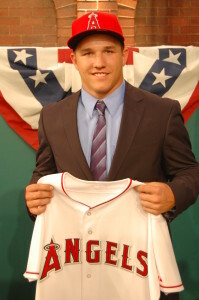 Michael Nelson Trout was born in Millville, New Jersey August 7, 1991. Twenty-three year old “Mike” Trout has been able to do more in his short baseball career than most professionals in their lifetime. 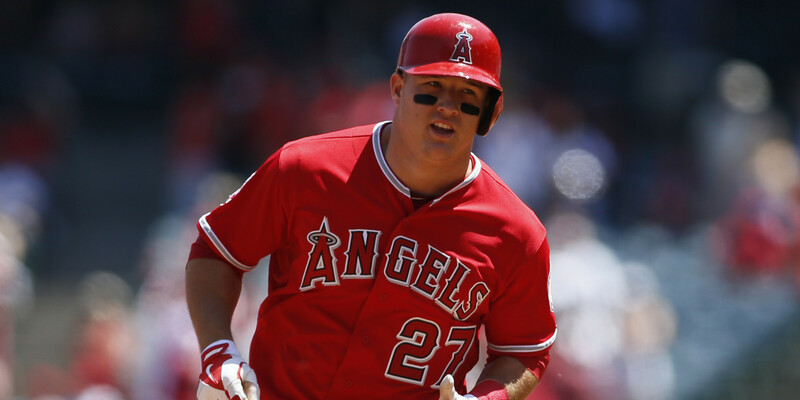 As the center fielder for the Anaheim Angels, Mike Trout has already broken the record of the youngest player in MLB history to reach 100 home runs and 100 stolen bases. 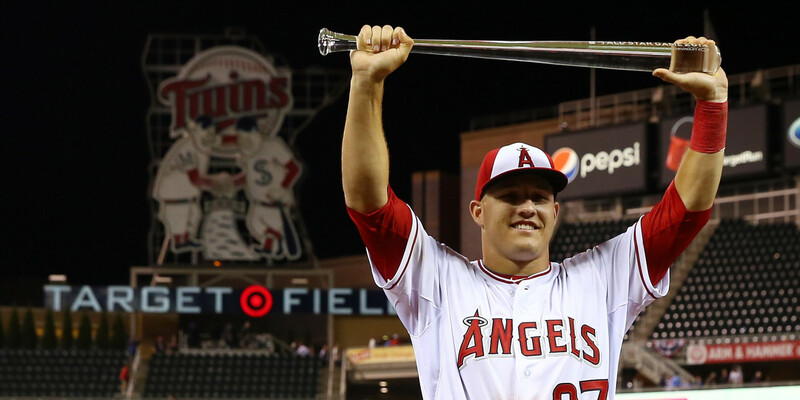 Just last season Mike Trout took home not only the AL MVP award for 2014 but also the All-Star Game MVP in the same season. Who or How does he owe all his success to? Hard work? Commitment? Sure, all those are important factors to his success but a bigger role model played an important part overall. Jeff Trout, Mike’s father, also a baseball player in his time, played an important role for Mike in his early baseball career. Jeff never made it to the professional level but made it as far as getting drafted in the fifth round by The Twins in 1982. Unfortunately a knee injury forced him to quit his baseball career and became a history teacher and baseball coach. 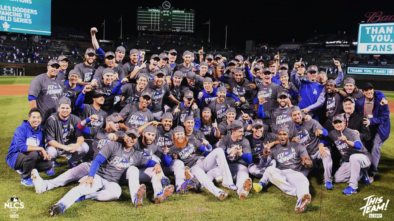 Six years later Mike was born and at the age of nine he began showing tremendous interest in baseball. Under his father’s guidance Mike began to play and show incredible athletic skills. Mike’s ability to pitch and hit made him special but what caught everyone’s attention was his superhero-like speed. 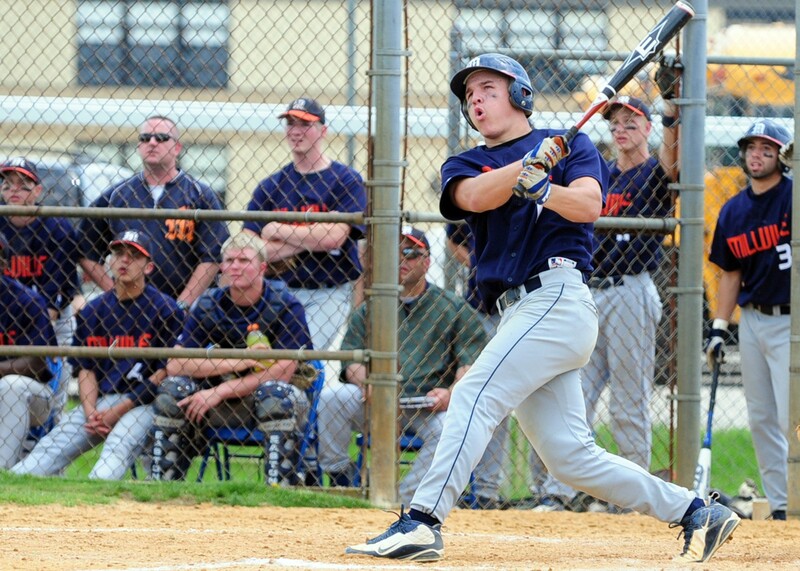 Running in 4 seconds from the batter’s box to first base, time and time again caused Mike to lead the Millville Senior High School baseball team to the state playoffs. As Mike began to show tremendous talents, scouts watched him vigilantly. Mike committed to Carolina University and later on was drafted into the rookie-level Arizona league. In 2010 he was promoted to the Rancho Cucamonga Quakes, ending his season strong, he was awarded the Taylor Spink Award and named Baseball America All-Star as well as Topps Call All-Star. At only age 19 he became the youngest player to be honored with such award. 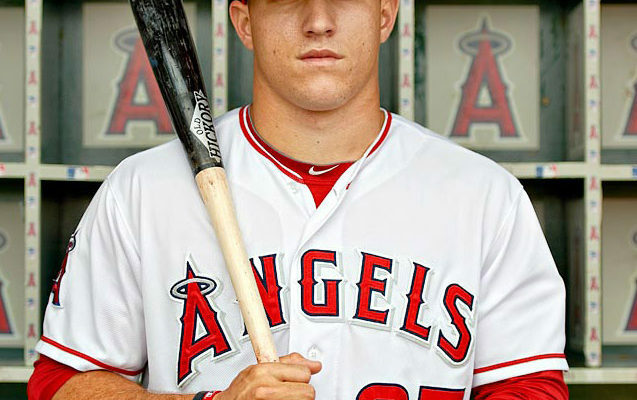 Continuing his career Mike signed with The Los Angeles Angels of Anaheim and was put in Class-AA in 2011. Trout played center field for the minor league team, the Arkansas Travelers atting better than ever and recorded 28 steals. That same year when Peter Bourjos, center field of the Anaheim Angels became injured, the Angels called Mike Trout to be his replacement. Struggling to stand out he was sent back to the minors but soon after was called back to play for the Anaheim Angels and his rise to the top began. Starting the 2012 season, he quickly stamped his mark into the major leagues and became the real-life superhero the club desperately needed. Mike collected 19 hits, and his average climb was above .350. He was crushing home runs, stealing bases and catching the eyes of hard-core fans. Mike was blazing through the season, with Tori Hunter, Albert Pujols, and Mark Trumbo behind him. 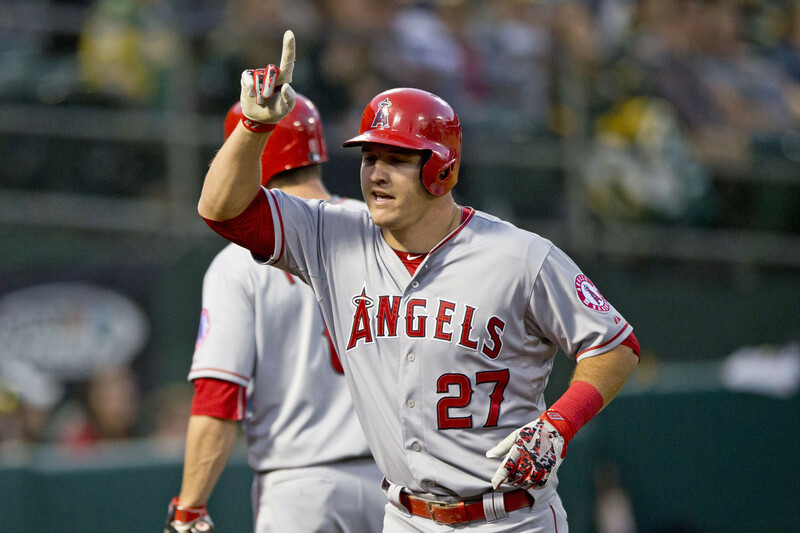 The Angels had been transformed winning 32 of their 50 games diving back to the division race. With such an incredible season, breaking records back and forth, he ended his season by becoming the youngest player to hit at least 20 home runs and steal at least 40 bases that season alone. As the 2013 season began the Angels accommodated Bourjos back to center field and Mike as a left fielder. Starting the season slow hitting .261 with 2 home runs. Later, Bourjos injured his hamstring and Mike returned to his rightful place, playing center field for the rest of the season. In 2014 Mike signed a one-year, $1 million contract with the Angels, the highest figure ever for a player not eligible for salary-arbitration. 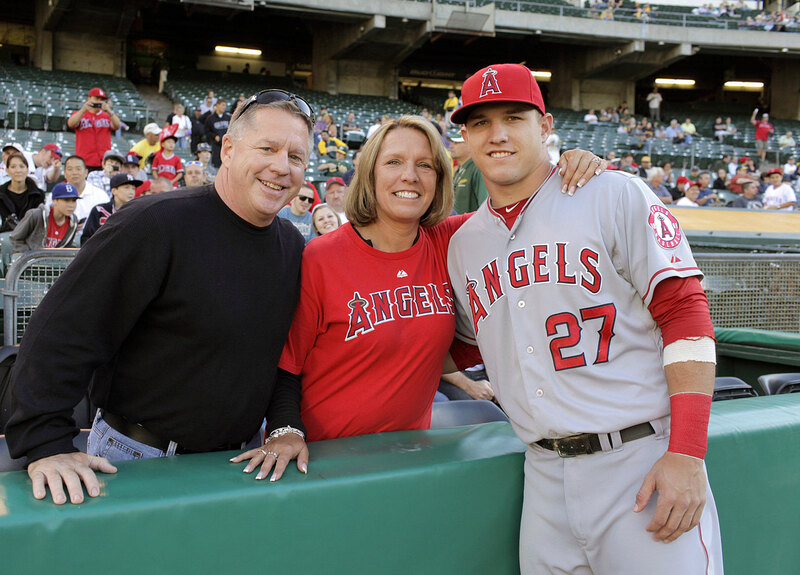 Soon after, on March 28, 2014, Trout signed a 6- year $144.5 million extension with the Angels. Opening the season off right he hit his first career six to five victory over the Tampa Bay Rays. 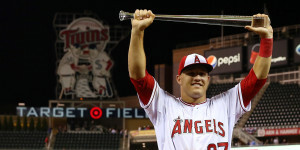 Trout’s immaculate 2014 year set new career best in runs batted and home runs, coupled with the Angels success led him to receive the seasons Most Valuable Player (M.V.P.) award. With such inconceivable talent, Mike Trout became the biggest name in baseball that year for his young age and extraordinary ability to sharpen his skill every year since his start. From the age of nine to now Trout has shown patience and love for the game. Whether he will keep breaking records in this 2015 season or not only time will tell but commenter’s and fans speculate whether its possible for him to hit a higher point in his career but his father, who had a huge part in his success, doesn’t seem to worry. 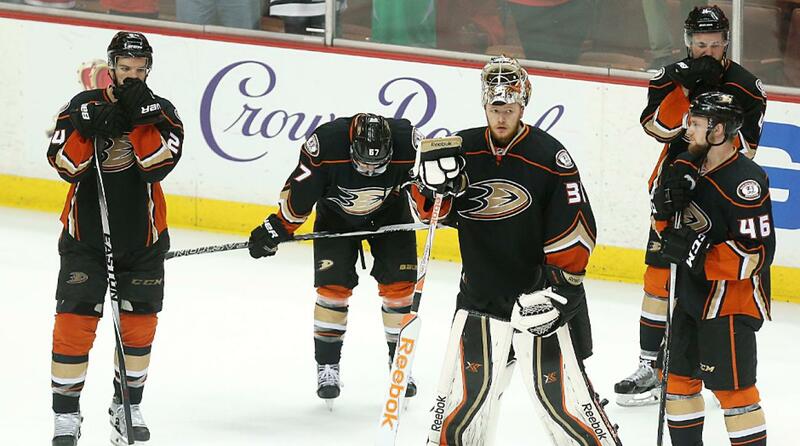 In an ESPN interview his father Jeff said, “If he keeps playing well and they keep winning, it’ll be significant. The pundits and the writers and baseball analysts will make that decision. 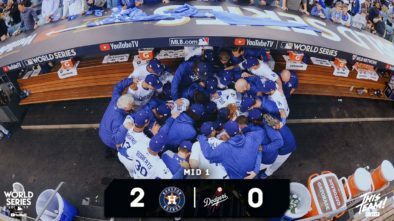 Right now we’re just enjoying it, living and dying every at-bat like we did when he was 9.” His support from his father gives him the drive to win and to stay on tract as his rookie year was unforgettable but his legacy is yet to be written.